A portion of the remarkable view from the hill behind the Hotel Edenia. 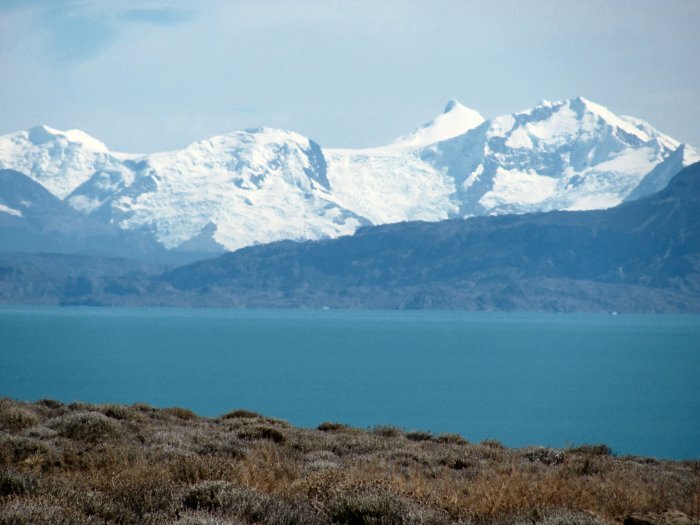 Lago Argentino (the largest lake in Argentina) is in the middleground. It's sunny, warm and virtually windless today...that's the kind of Patagonian weather I like!